Want it by Thursday 25th April? Order within 11 hours, 18 minutes and choose Royal Mail Tracked 24 Hour at checkout. 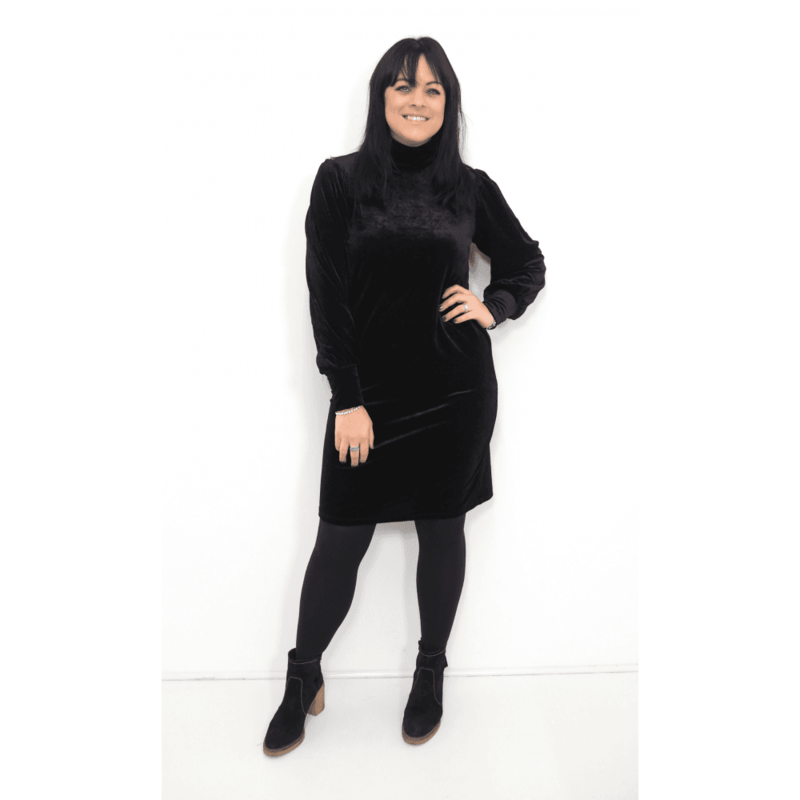 A new season twist on a classic little black dress, with a flattering slim fit to accentuate your curves, this dress features a soft velvet finish to add a luxurious touch of texture to any outfit. This beautiful High neck dress is sure to be a new favourite this season!